GT021 real time GPS tracker with multifunctional intelligent alerts helps you to keep a virtual eyes on your vehicles, valuables, kids, elderly and anything. Using the latest gps chip, which insure gt021 has high accuracy with low error rate. No sound no light no fancy design that make it a real hidden tracking device in particular cases. 1.GT021 power on by inserting SIM card, power off by removing SIM card. 4.Monthly fee as shown in the photo. ➯REAL-TIME GLOBAL TRACKING WITH INTELLIGENT WARNING: Geo fence, low power alarm, over-speed alarm, vibration alarm, light sensor for alerting removing. Tracking your targets anytime anywhere you want. ➯LONGEST BATTERY LIFE GPS TRACKER ON THE MARKERT: 45 Days ultra-long continues real time tracking, 1 year super-long sms text tracking by a 12000mah new-energy high conversion low loss battery. ➯INDUSTRIAL GRADE SUPER POWERFUL MAGNET: GT021 GPS Tracker with magnet is sturdy enough to attach a moving vehicles, be able to against 10kg force, even use on rough roads. Small and lightweight, can be put into backpack, suitcase and more. 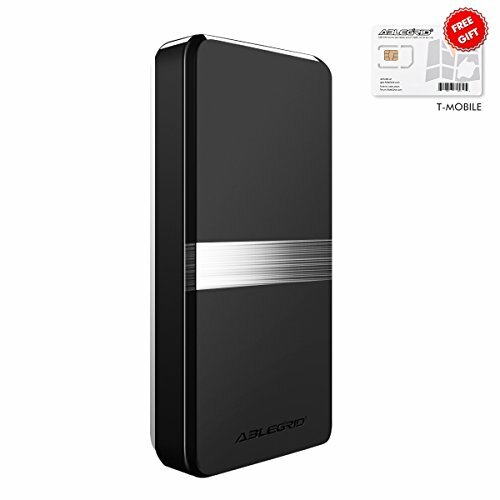 ➯WARRANTY: As the best professional developer and manufacturer of GPS tracker, ABLEGRID promises: 100% quality warranty, 100% satisfactory after-sales service and processional tech support. Buy our GPS tracker with confidence!